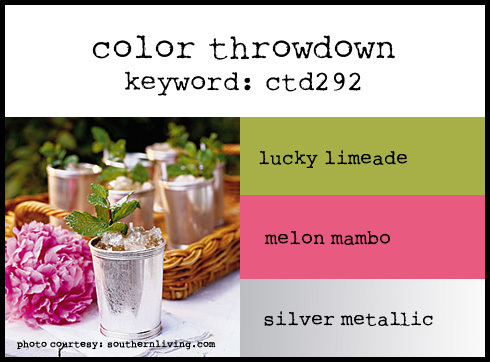 I am sooooo honored to be the Guest Star Stamper over at Color Throwdown this week. I made my die cut lilies from fun foam and card stock, layering them for lots of dimension. MFT Stamps makes this die and I've enjoyed using it over and over. I used Copic markers to add shading to the flowers and it really made them come to life! Be sure to play along with this week's colors. What a fun combination! 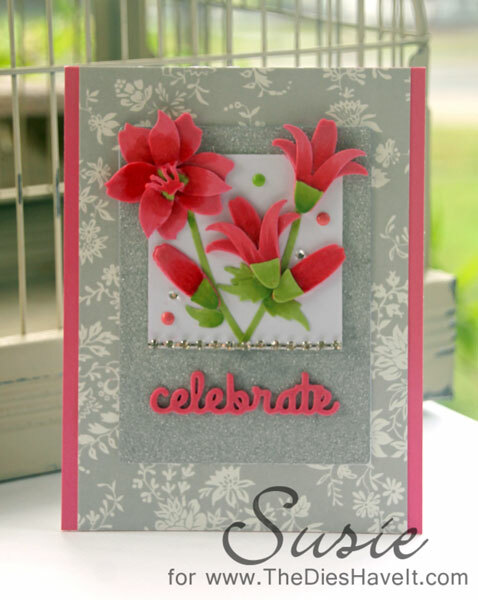 oh my word this is gorgeous.. love those flowers.. fabulous designing..
What a gorgeous card, Susie!!! I'm so glad you are our Guest Star Stamper this week! You rocked the colors!! What a clever idea to use the fun foam for your flowers...they look fabulous!!!! You did an awesome job with the colors this week...I'm so glad you are the Guest Star Stamper this week!!!! Gorgeous card Susie. Love the die-cut pieces and the rich color on the flowers. Beautiful design. Congrats on being our Guest Star Stamper this week. Wow, Susie, I totally love what you've done with these dies! You really highlighted the colors so beautifully! Congrats on being our star stamper...job well done! Fabulous design! Love how the lilies look cut from fun foam--what a great idea! Thanks for joining us this week as our guest star stamper. What a great idea to use fun foam, Susie! It gives them so much dimension! See you soon! You rocked those lilies, Susie! Beautiful creation! Way behind on some of my commenting....this is wonderful Susie! Fun foam and Copic coloring for depth makes those Lillie's fantastic! So glad you played with us!